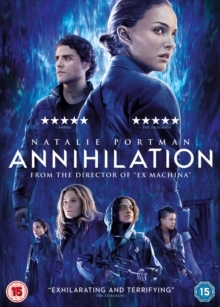 Natalie Portman stars in this US action drama written and directed by Alex Garland. Based on Jeff VanderMeer's novel of the same name, the film follows a biologist (Portman) as she sets out on a dangerous expedition to the mysterious uninhabited region known as Area X. Accompanied by a psychologist, an anthropologist and a surveyor, the biologist desperately searches for clues about her husband (Oscar Isaac) who disappeared while on a similar expedition to Area X some time before. The cast also includes Jennifer Jason Leigh, Gina Rodriguez and Tessa Thompson.